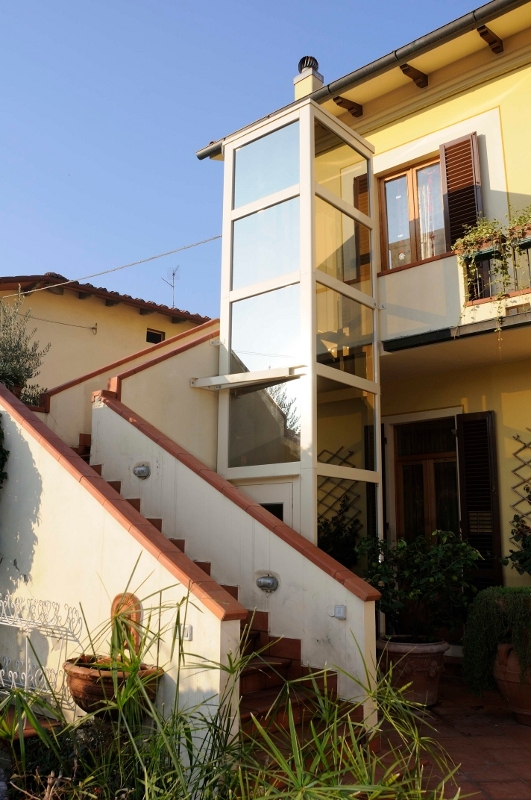 We specialize in stairlifts, disability elevators and porchlifts. 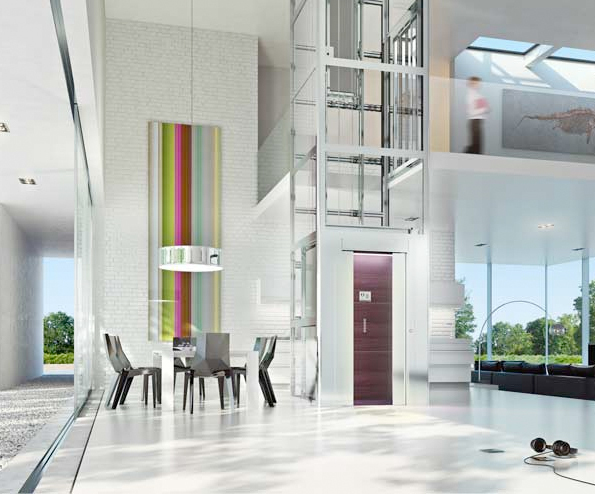 We specialize in stairlifts, disability elevators and porchlifts. Barrier Freedom Inc. and disability equipment are on the leading edge of an enormous growth curve that is affecting all of North America. There is nothing uncertain about the fact that the largest population group is aging and reaching retirement age. There is nothing unexpected about the fact that a growing percentage of that population will require or find useful the assistance of “barrier free” technology. Barrier Freedom Inc. provides accessibility solutions for disabled people and the elderly. This service is often the key factor in enabling a person to remain in their own home as opposed to moving into a long term facility or nursing home. This can provide a great deal of comfort to a person whose health is deteriorating or who has faced a life altering illness or accident. Disability equipment comes in a range of products that can be tailored both to a person’s physical needs and financial ability. Barrier Freedom’s experience with a wide range of products makes them uniquely able to provide informed advice on the best solutions. We represent many brands or products and so can offer solutions tailored to the customer’s wants and needs rather than the manufacturer’s product list. 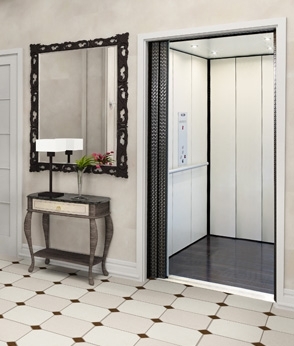 Barrier Freedom Inc. offers the option of recycled or on consignment lifts instead of new to customers looking for a stair lift, porch lift or elevator for their home or business. This can represent a significant cost saving to the customer and is the one for the ways that we strive to offer a variety of solution in order to better fit customer needs. 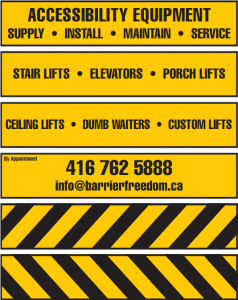 Barrier Freedom offers multiple services from installation to removal. This continued flexibility enables us to remain customer oriented as well as providing a wide range of services that cover the entire span of their equipment. We also remove or purchase old or no longer needed equipment. 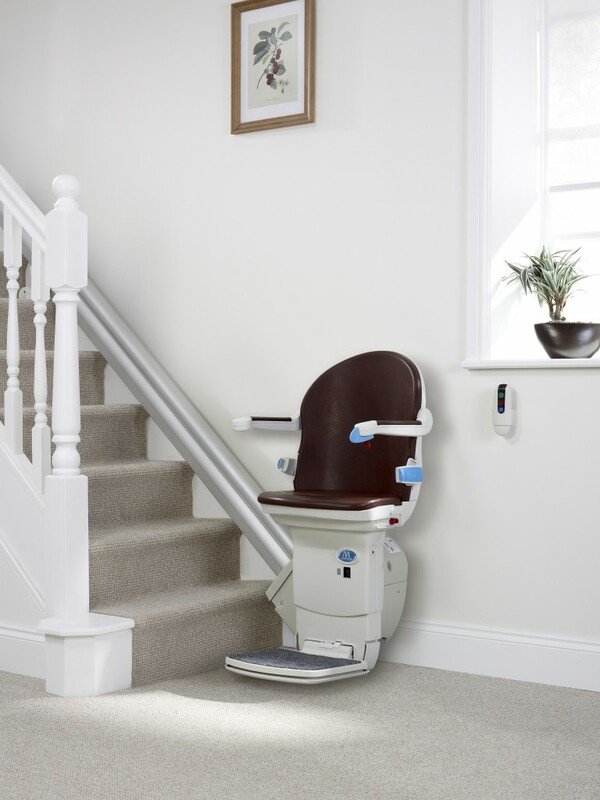 We specialize in stairlifts, disability elevators and porchlifts but also do home modifications and equipment repairs. 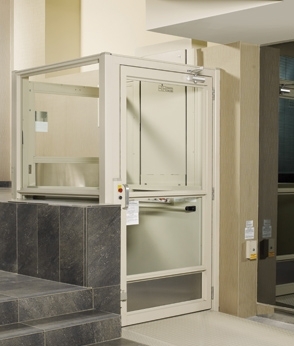 Our technicians have a wide range of skills, knowledge and experience in the mechanical and electrical workings of disability lifts and most accessibility equipment. Barrier Freedom also refurbishes and certifies equipment for insurance companies after a fire or flood. We retrofit commercial buildings that need to comply with the government of Ontario requirement for all buildings to have disability access. 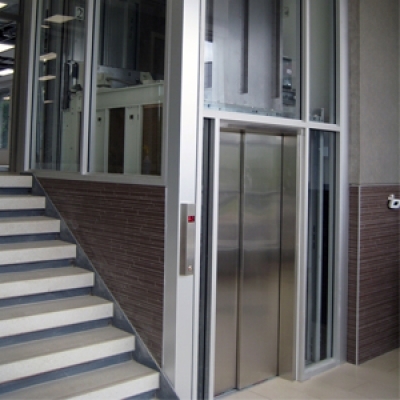 We also install disability elevators in buildings currently under construction in order for them to meet their building code requirements.